Come and receive the information you need in deciding on a career as a Massage Therapist. 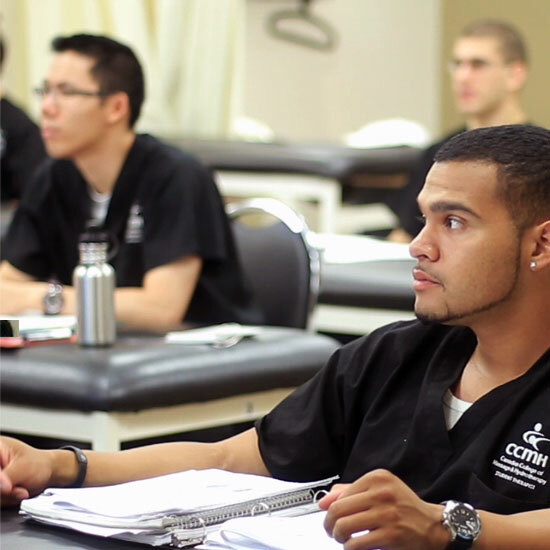 "The thing that I liked about CCMH was the ability to transfer credits from the Massage Therapy program into a University degree. Welcome to our Halifax Campus! CCMH is the college that started it all. The birth place of Massage Therapy education in Canada and a great choice in a Massage Therapy course and training since 1946. We have maintained our reputation among health care professionals by offering a hands on building block approach to learning in our state-of-the-art facility. Upon successful completion of our massage therapy diploma program, our graduates are qualified to practice massage therapy in all non-regulated Canadian provinces and are prepared to confidently sit and successfully complete certification exams in all regulated Canadian provinces (currently NL, NB, ON, and BC) for entry to practice as a Registered Massage Therapist. Now accepting applications for our Online-Blended, Spring and Fall 2019 Intakes. CCMH students receive outstanding professional preparation. Our faculty all have a love of teaching, and willingly pass on their dedication and expertise to our students.